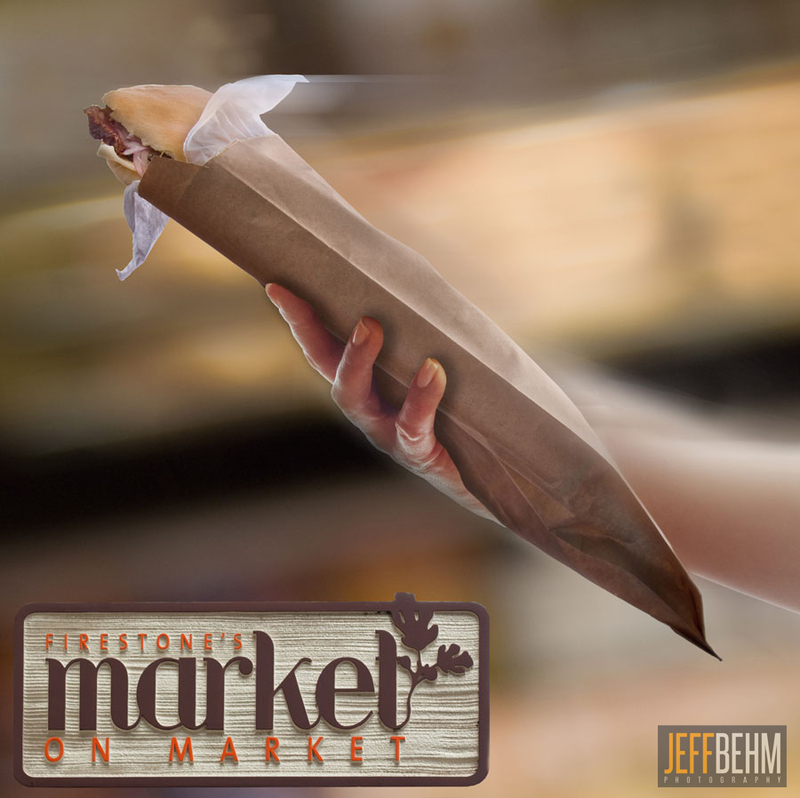 Firestone’s Market – Sandwiches to Go-o-o-o! Firestsone’s Restaurant has an excellent reputation as a sit down dining spot in Frederick, but what may be their most under-appreciated aspect is the market, immediately next door. Neat specialty items like locally made ice creams and all manor of foods, beverages and gifts line the shelves. The focus of the photos (pun intended) we just created for Gillian and Kathy is the wonderful selection of “to-go” sandwiches offered there. Speedy service of these delicious sandwiches is critical, as is the fact that it’s the same great quality as has earned the restaurant it’s reputation. 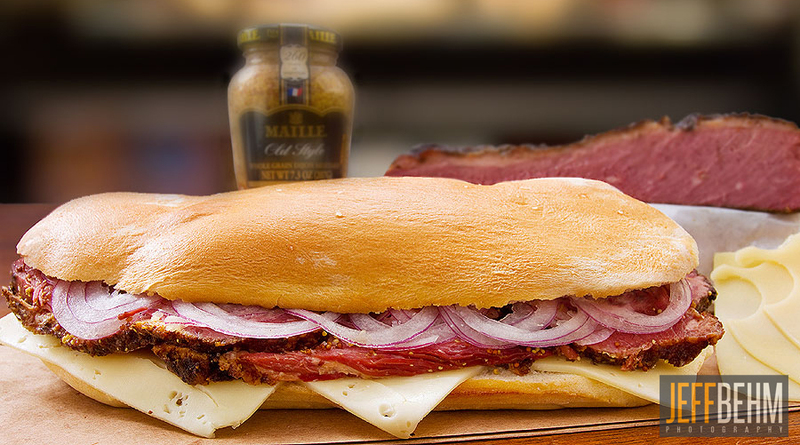 What’s also decidedly cool, is the “baguette bag” in which the take away sandwich is served, allowing one to eat on the go without much mess. It stays in the bag, and you push the sandwich up as you eat, just like those ice cream push-ups we all loved as kids. Slick presentation, huh? The pastrami, shown above, is quite literally, the best pastrami I can ever remember eating, and when I lived in Chicago, there were some great delis. This is melt in your mouth better!